Do you want to know what I've been doing these days? Safety pins bracelets. Honestly, this type of bracelet is sooooo weird but, somehow I like them! Lol. Anyways, here's the safety pin bracelet tutorial! Step 1: You'll need the following materials- safety pins (size 00 or 0 recommended), seed beads (or any bead that fits on the safety pin) and elastic cord. Step 2: Open the safety pin and thread the beads onto the pin (leave a space to be able to close the pin). Step 3: Repeat step 2 until you have enough safety pins beaded (the amount of pins will depend on your wrist size). Step 4: Cut two pieces of elastic cord. Thread one of the cords through the top hole of one pin and then though the bottom hole of another pin. Repeat the step with the second cord. Step 5: Tie the end of the cords together and that's it, your bracelet is ready! For me, this style looks better. The only step you have to add for this style is, adding an empty safety pin between every beaded safety pin. So, tell me... did you like this type of bracelet? This is really cool and inexpensive. You can constantly change the colours. I love them. The second one is my favorite, but you probably already know that. I love the new background! Your button is so cute! Hi! Thanks so much for visiting my page. I'm loving the Aveeno dry shampoo so far...tops all of the dry shampoos I've tried to date. This is such a cute and creative idea...I just might have to try! Hey Carly! Thanks for letting me know, that's so sweet of you :) I will definetely try it! Sure! I will stop by in a couple of minutes :) Thanks!! Wow...they turn out really cute. What a fun idea. A new follower from the Meet and Greet Blog Hop. Thanks for joining us. WOW! This is simpler than I thought! Hi! I'm Vickilicious from http://thegreekhousewife.blogspot.gr/ I'm your newest follower all the way from Greece and the "Nice to meet you" Blog Hop. Looking forward to reading your blog! Stop by my place and follow back if you like what you see! Thanks! Thank you Vicky! :) I will sure stop by your blog! What a cute idea! 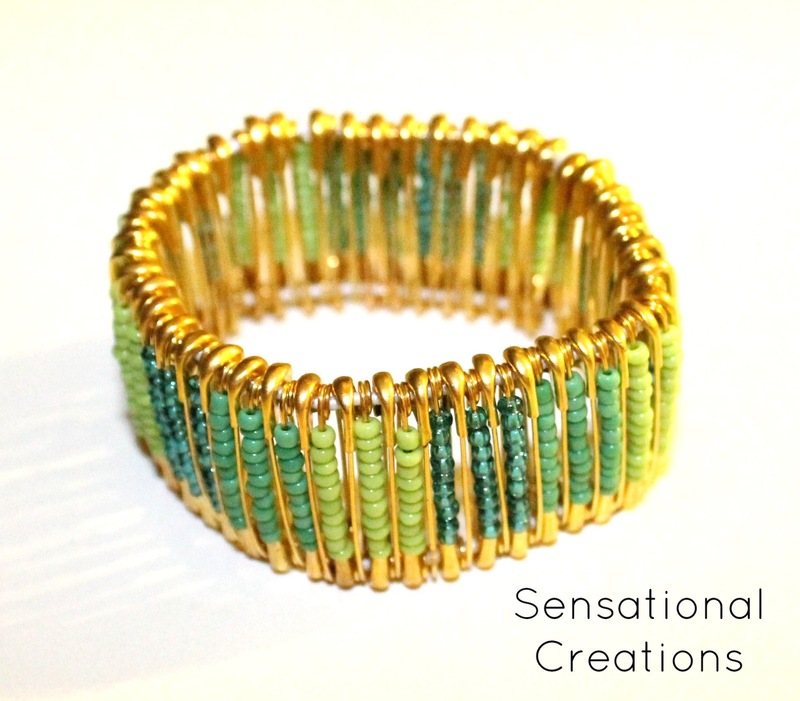 I love this, it makes a darling bracelet! Thanks for stopping by my blog from the Meet and Greet hop.